The first thing to do after starting a new business is to build your brand. Branding is the root of your success – it tells your customers who you are, what your business is about and what they should expect from you. It’s a distinctive feature that sets you apart from others in the same industry. 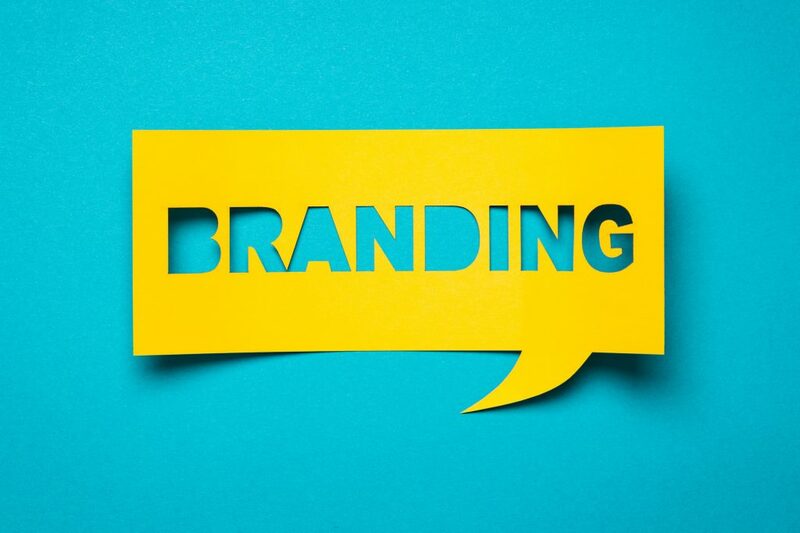 Why is branding a make or break factor for your business? It leaves a lasting impression in the customer’s mind. A positive impression will keep the customers coming back to your business. On the flip side, the negative impression will make the customers avoid your brand entirely. If you get your branding wrong, you might end up missing your target market, and your business might fail even before the end of the first year. A website is a core element of your brand identity, especially now that all businesses need a strong online presence. Most potential clients will first check out your website before they decide to buy from you or look for another company. This is why your website must be flawless and detailed in communicating all the necessary information about your operations, product, and services. Your website must clearly state the values your business share. The visual content on your website should support your brand identity. The photos that you post on your website should introduce your products and your team to your audience. The textual content on your website should be suitably written and edited, with proper tone considering the expectations of the target market. Therefore, it’s best to have someone in charge of the content being shared on your website, who will ensure all the information is unified and meets the expectations of brand ideas. A logo design is an important part of brand identity. The logo represents your business in the eyes of the customers. Take time to develop your personal logo design and ensure to keep it original. Simple and Timeless: you don’t have to imitate the latest trends or struggle to have a pretentious logo, a good logo should be simple and appealing beyond time. Represent the company: A good logo should represent what your business does, it’s primary values and its main focus. Unique: A unique logo stands out from numerous others. It’s a symbol that represents your company and makes it recognizable. A stylish staff uniform creates a strong company image and can play a significant role in how workers feel about their work. Your staff uniform says what your business is about and where it’s heading. Airlines have been fast to appreciate the role of well-dressed staffs on their brand identity. Staff uniforms will give your business an opportunity to create an instant point of difference since it acts as that finishing touch that sews together all elements of branding and ensures your image is complete. Uniforms act as both a morale booster and a marketing strategy. Your interior and external design should correspond to the general status of the business and its other brand elements. It influences the mood of both your customers and employees as they enter and leave the premises. A good design makes a lasting impression on customers. You can maintain an excellent impression on your customers by giving out souvenirs that have your company’s logo design. This will serve as promotional merchandise and will always remind the customer about your business. They play the role of low-energy advertising. For instance, you can print your company logo on water bottles, umbrellas, lip balms, coffee mugs, and other products and give them to your customers. This branding strategy speaks for itself. Your customers are likely to keep promotional products for more than a year. This complimentary item makes customers to quickly recognize your logo several years later. Promotional products work in a similar way as a business card. However, they not only introduce your brand to the customer but also uses that customer as a brand ambassador. The packaging design speaks up for the brand when customers have not had the opportunity to yet try your product. It distinguishes your brand from other similar products produced by other companies. The aesthetic benefit from packaging can persuade some clients to buy your product even though the quality of your product is comparable to that of your competitors. In developing a brand identity, Austin Williams thinks about how your customers will react once they interact with your products. Brand identity is the personality of your business. The fonts that you use on your website, promotional merchandise and business cards play a significant role in brand identity and in complementing the ideas that your design communicates. For example, you can’t use classic serif fonts when your target market is young people because this font contributes to the idea of a reliable and old-fashioned business. When the target audience is the young generation, consider using fonts such as san serif. Such a font contributes to the image of classy and modern. Therefore, it’s inaccurate to think the only important thing in any text is gist and that fonts don’t matter. Script typography is an influential tool that adds class and pretentious accent to your identity. Colors play an important role in creating and developing your brand identity. The effect of color goes beyond its aesthetical perception by the customers. Each color has its unique psychological impact on the way customers interpret the information that is depicted by your visual content. For example, red is a color associated with energy, alertness, excitement, passion, and love. Yellow is associated with optimism and warmth. Color green communicates the idea of environmental friendliness, peace, growth, and sustainability. Forms and shapes also play an important role in influencing the perception of the brand identity. Do you know the shapes that you choose to visually represent your products have an influence on the customer’s subconsciousness? For example, round shapes represent the value of friendship and sharing, where straight lines are associated with the feeling of determination and efficiency. Branding is your client’s view of your business based on various aspects of your business. However, ensure your branding is an honest reflection of what your business is as a brand. This is why you need to be transparent in everything you do. Your branding should be used to complement your business values and not used as an opportunity to promote values that don’t exist. Check out our blog post to learn brand promotional strategies.